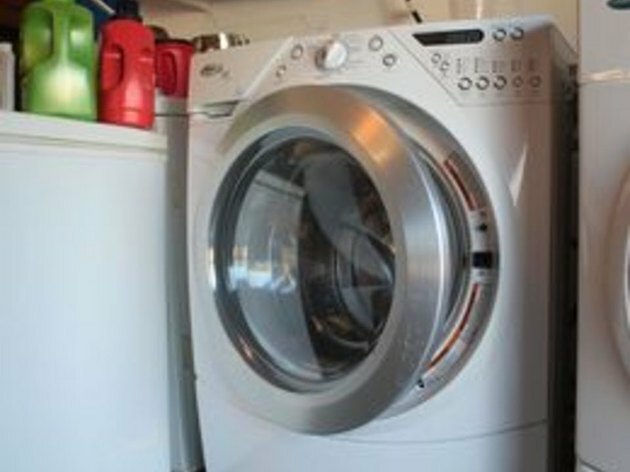 Front loading washing machines are growing more popular each year as an increasing number of consumers want higher efficiency machines that use less water. 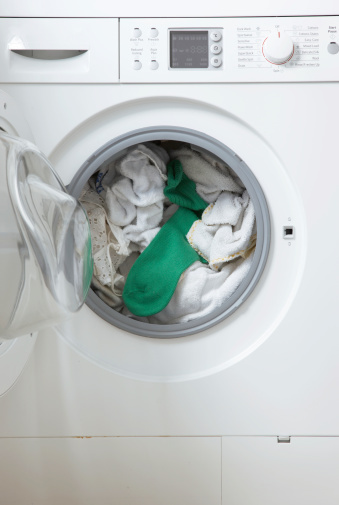 A problem that has been found with most front loading machines, however, is a musty smell after laundry is washed. The culprit is likely mold, which is most often found on the inside of the door. 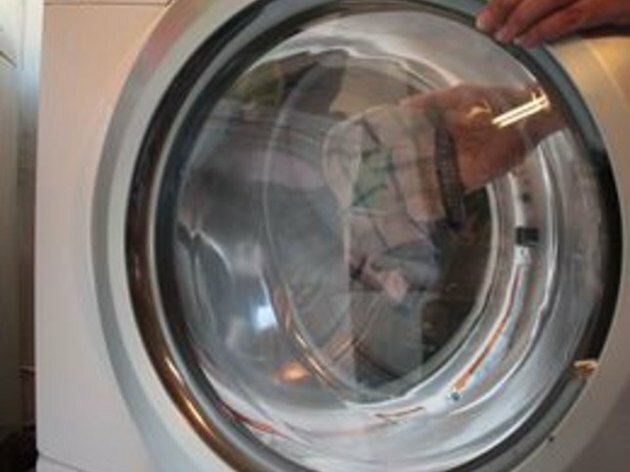 Clean a front loading washing machine with vinegar to eliminate these smell issues and health hazards. 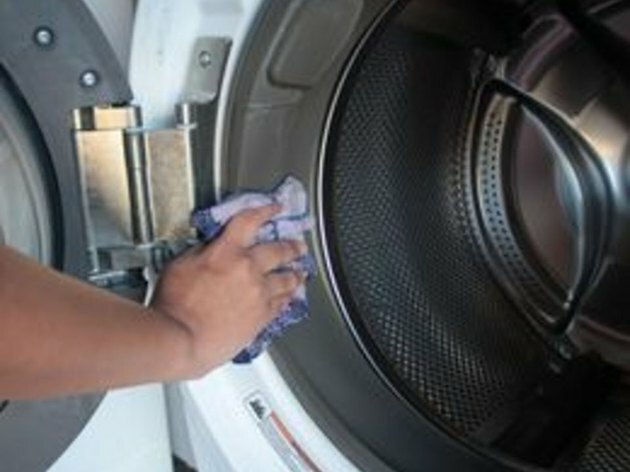 Even if you don't notice a sour smell, your washing machine can benefit from a monthly cleaning with vinegar to get rid of detergent buildup. 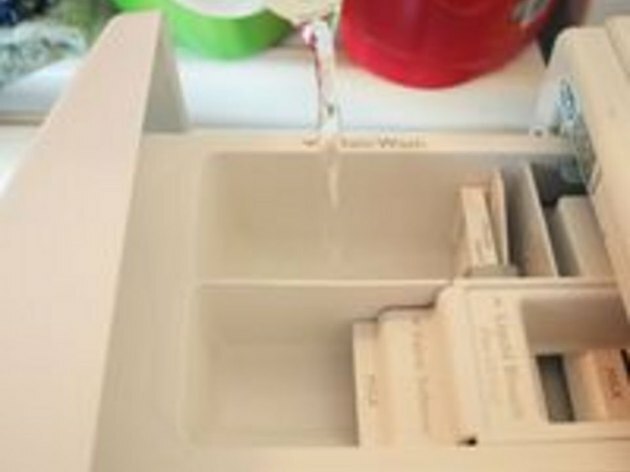 Run a long wash cycle with only water and one cup of white vinegar in the washer. Do not use any detergent or place any clothing in the wash. Wipe down the door gasket, seals, and door interior with a soft cloth soaked in a water and vinegar solution after the wash cycle finishes. The solution should be 50 percent vinegar. Rinse the door gasket and seals after cleaning them with the vinegar solution to prevent deterioration and damage of the seal. Wipe the inside of the door, including the gasket and seals dry. Leave the door open slightly to allow the washer to air out. 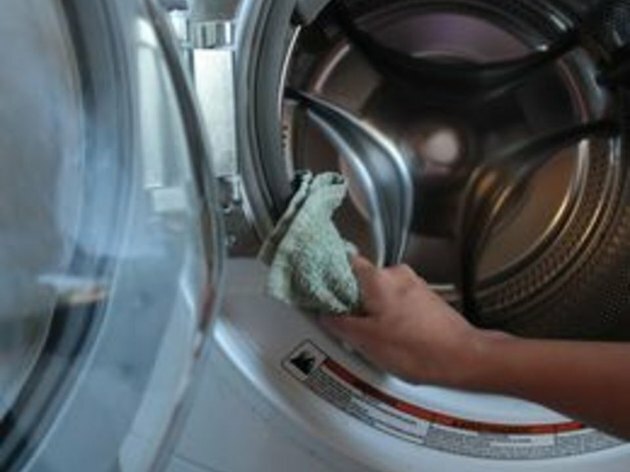 Repeat this cycle once per month to keep your front loading washer smelling fresh and to prevent mold on the door.